We are a small friendly team of tutors based in Sutton and Wallington, who are ready to take your child’s education to the next level. We offer a free trial to all new students and encourage you to take advantage of this. 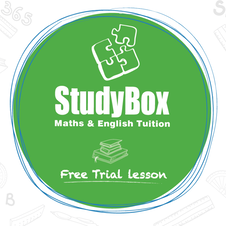 StudyBox is an after school tuition programme for students of all ages and abilities designed to build skills and confidence. Students are taught based on the new national curriculum using a balance of written and digital based learning materials. 11+ exam prep including the common entrance tests. GCSE exam preparation for Yr10 & Yr11. One to one and small group tuition available.